NecksGen HNR - MEDIUM 3"NecksGen HNR - MEDIUM 2"
This SFI 38.1 approved HNR is the smallest available. 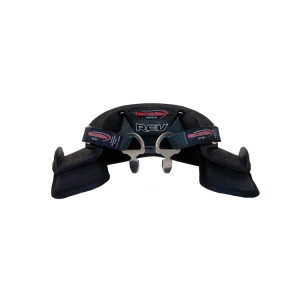 Designed for small adults or youths that utilize a 2″ wide shoulder harness. Neck widths over 5″ are recommended to use a medium 2″ or medium 3″ instead. Includes quick release helmet hardware, carry case, tool kit, decals, and a bonus Flexfit hat size SM/MD.